Our customer operates large scale gravel and sand plant in North East Victoria. Their quarry products are used in building construction and other civil engineering activities. They have an established Health and Safety committee that operates on-site to plan, develop, implement and monitor health and safety processes. This has been very successful in facilitating a safety culture within the business, and ensures that the site complies with AS 4024.3610 (Australian Standard for Conveyor Safety Requirements) at all times. The main problem experienced on this site was the ongoing guard maintenance due the awkward and restricted access to many of the areas that required pinch point protection. As well as protecting the workers from pinch point injuries, the site wanted a guard with a fully compliant design that would reduce cleaning downtime, and therefore create opportunities for more proactive maintenance tasks. 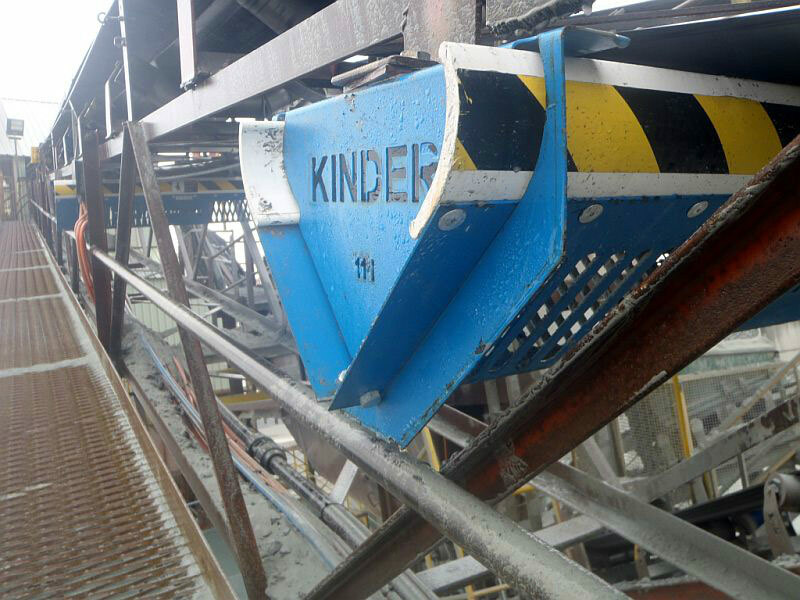 The site has now installed the K-Protector Return Idler Guard at all of its hazardous and critical nip points. “I’m so pleased that I made the decision to install the K-Protector Return Idler Guards. They were really easy and simple to fix on to the existing roller brackets of our conveyor system. Our plant is very tight so this could have created a problem when we changed over to these new guards. But they were very lightweight so it wasn’t a hassle. Now that they have been in operation for some time, they have beenvery easy to maintain. Other previous guards had been welded to the conveyor structure, but because these guards have a slide-out side panel, they are really easy to pull apart and remove any carryback material that the guard has captured. Also, the sand’s real sticky, so the rollers need cleaning every couple of days and its very simple to work around these caged guards.